What's not to love about hickory smoke, cheddar, and bacon? 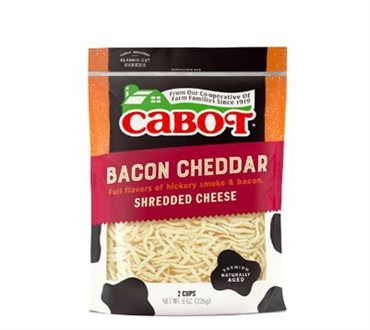 Forget the grater, forego the frying pan and Âjust open the re-sealable 8-ounce bag to enjoy the rich, hickory-smoked flavor of our award-winning cheddar blended with just the right amount of crisp-cooked bacon. 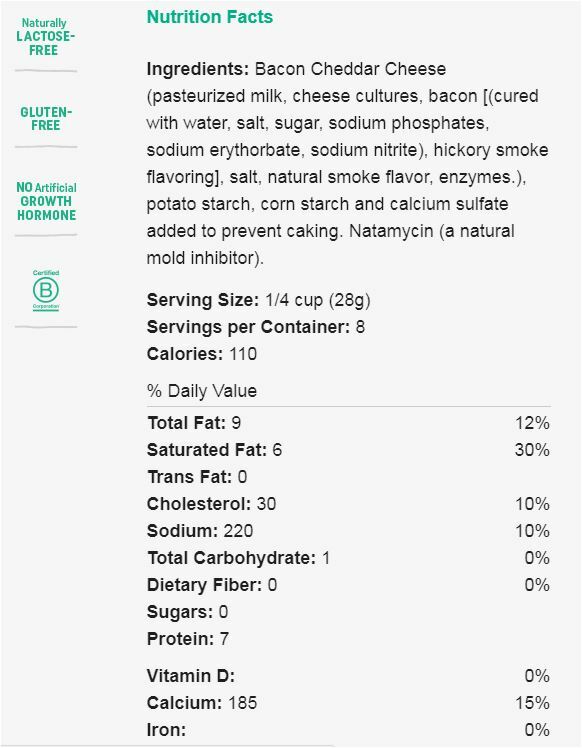 Our Bacon Cheddar shreds are more than just super delicious they are also surprisingly versatile. A natural topper for potatoes, whether they are baked, mashed, roasted, or French fried. They are also great sprinkled over grilled chicken, roasted veggies, fresh salads, and hot pasta dishes. Mix them into omelets or scrambled eggs, and melt them over burgers, into casseroles and more.